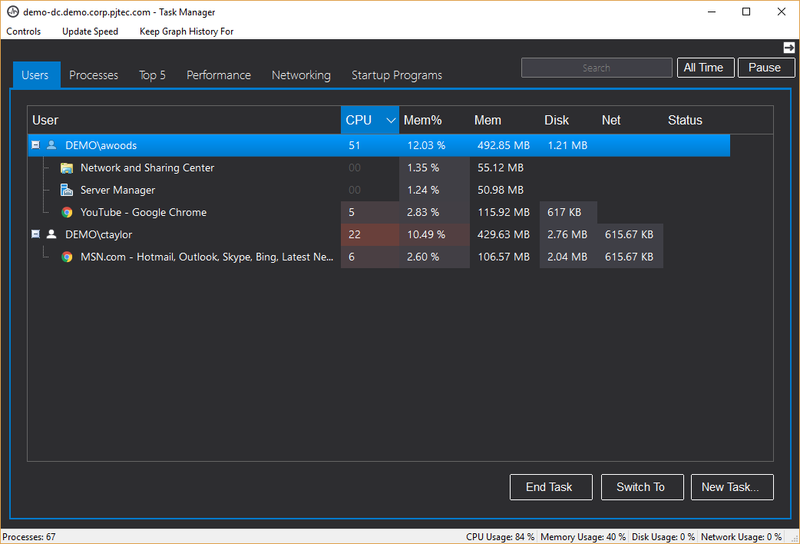 The Goverlan Task Manager provides additional functionality not found in the native Windows Task Manager. For more information refer to the Goverlan Task Manager guide. 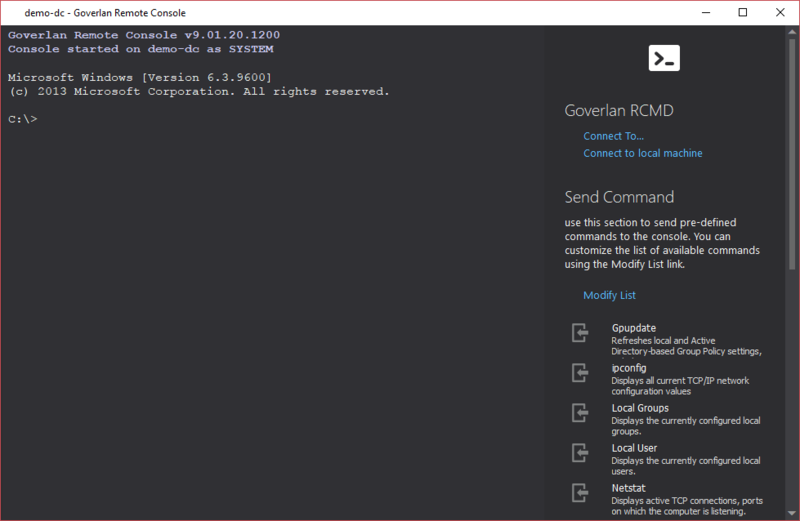 The Goverlan Remote Command console feature provides a command prompt access to any remote machine. 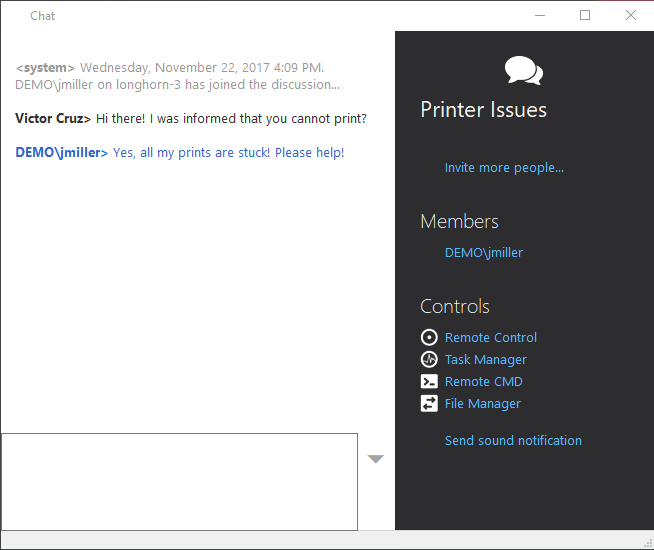 The console can be started as the administrator or as the remote user. For more information refer to the Goverlan Remote CMD guide. 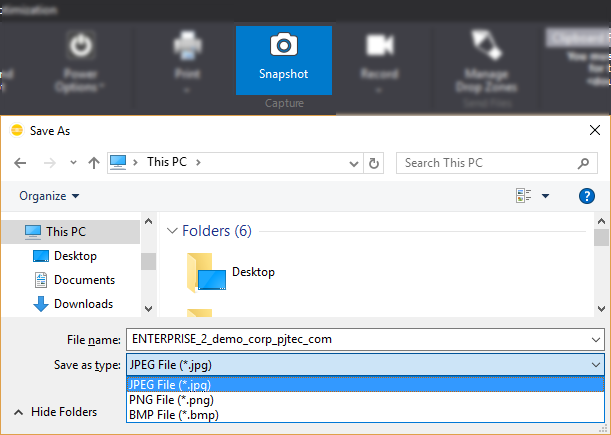 View, send and receive files from the remote file system with the File Manager. 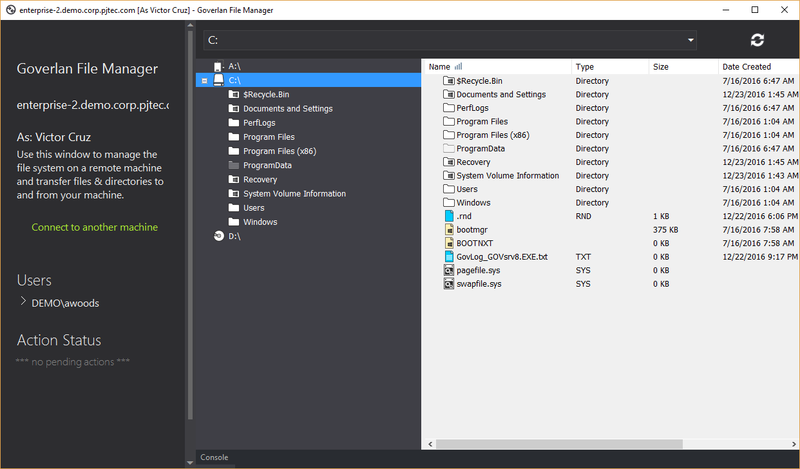 For more information refer to the Goverlan File Manager guide. Stay connected with your users through Goverlan Chat and Push Notifications. For more information refer to the Chat and Push Messages guide. Initiate a VoIP chat session through a remote control session. This feature requires a microphone and speaker on both the admin and remote client side. 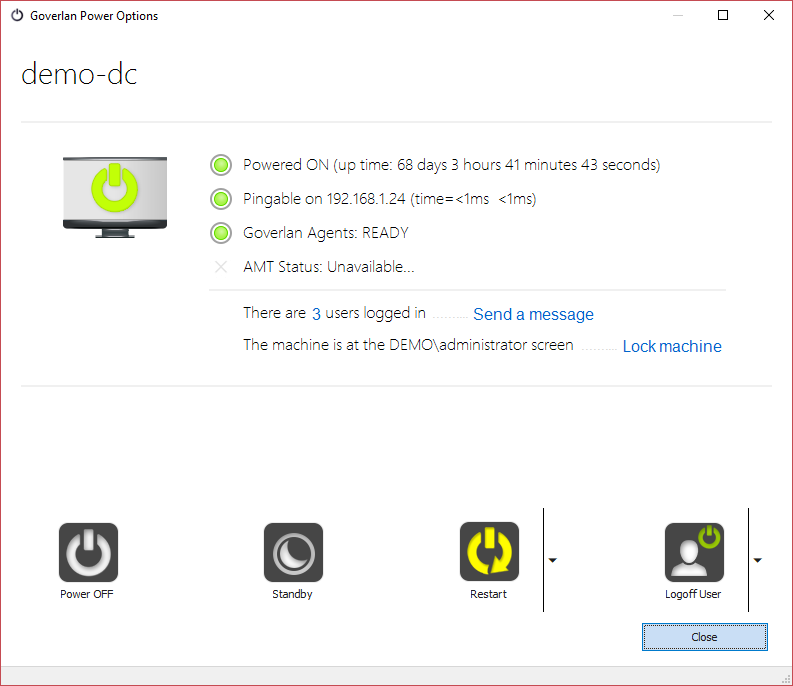 The Power Options dashboard is an at-a-glance screen that provides a complete status of the workstation with added actions like reboot to safe mode and logging a user off. For more information refer to the Power Options guide. Use Goverlan Reach RC to record, take a screenshot, or print the screen. 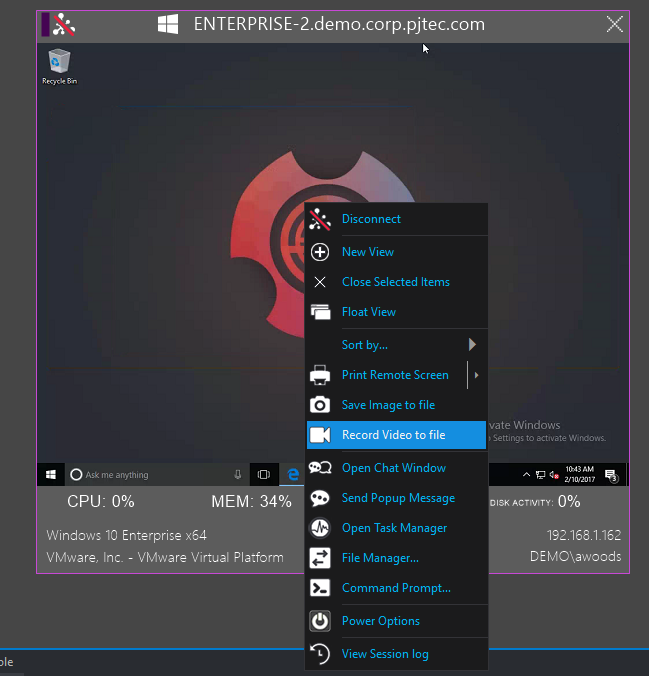 Access the screen capturing tools in the Tools tab of the Command Bar while in a remote control session. Goverlan Reach RC can record a remote control session to AVI or MOV format. 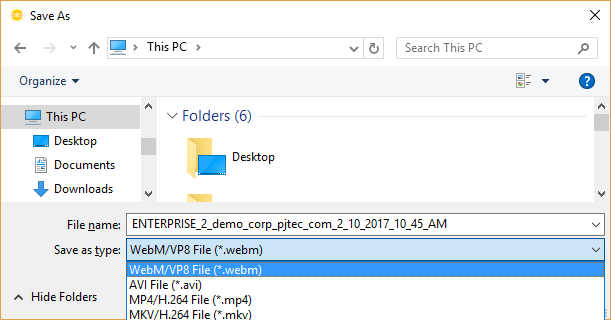 Click Record button in the Tools tab on the Command Bar. 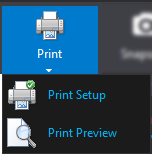 Right click a computer thumbnail in the Monitoring View. For more information about the Monitoring view see Performance Monitoring. 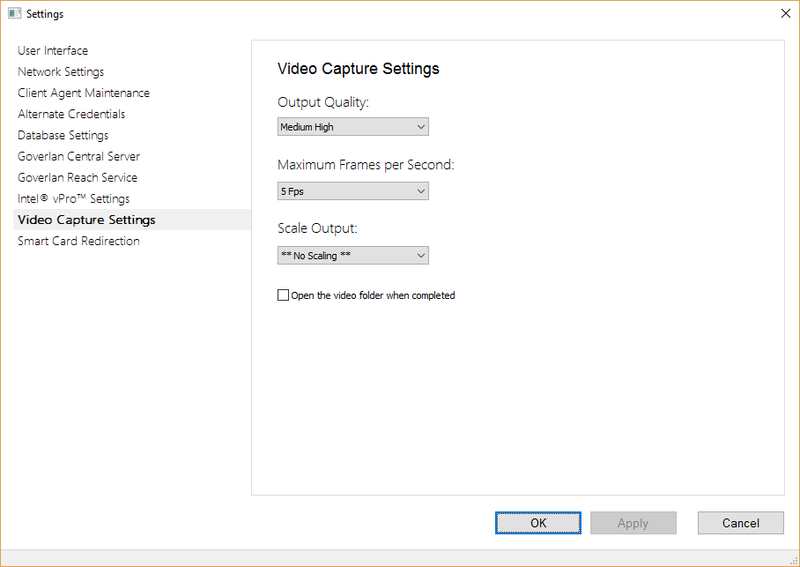 You can save video recordings in WebM/VP8m, AVI, MP4/H.264, MKV/H.264. The video will be saved in the location specified. 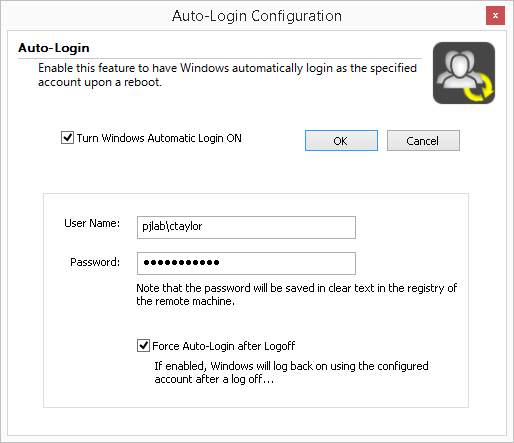 Windows Auto Admin Login is a Windows feature that allows an administrator to specify an account to automatically log in as. This is useful for administrative tasks that require automation, large lab environments or kiosk-based workstations. Goverlan Reach RC allows you to access the Auto Admin settings and change them. 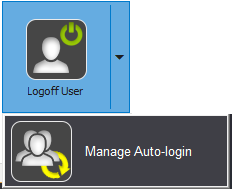 Use the Logoff User drop-down click Manage Auto Login. For more information about the Power Options Dashboard see Power Options. 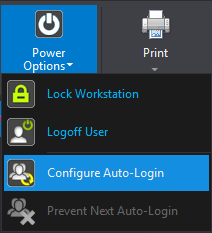 Select the Turn Windows Automatic Login ON box to reveal the settings. Windows Auto Login stores the password in clear text in the registry.